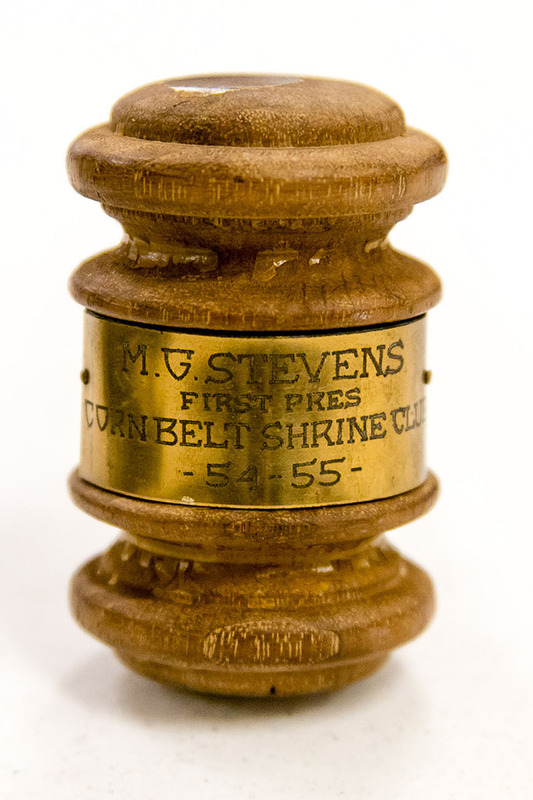 With help of Ansar Recorder Terry Petty, we found that Noble Stevens was a member of Ainad Temple in East St. Louis, having been initiated on October 24, 1947. Ainad's records listed the date of his death as May 15, 1975, but an obituary in the Mattoon Journal Gazette casts doubt on the accuracy of that date. An obituary headlined, "M. Glen Stevens, civic leader, dies at age 82," appeared in the Journal Gazette on Monday, May 5, 1975. It stated that Noble Stevens was dead on arrival at the Mattoon hospital on Sunday, which would have been May 4. According to the newspaper story, Noble Stevens retired from the Illinois Central Railroad in 1960 as a locomotive engineer after more than 40 years with the railroad. For 26 years he chaired the local Brotherhood of Locomotive Firemen and Enginemen. 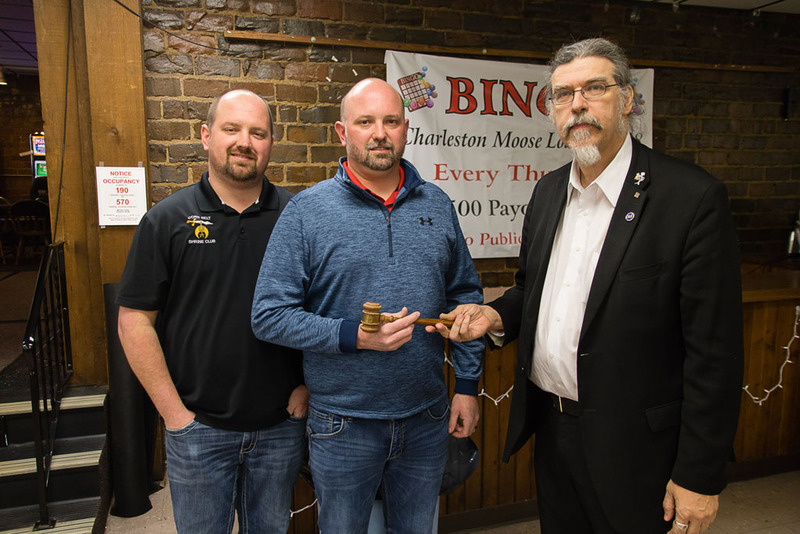 Listed among his many Masonic affiliations was his record as a charter member and first president of the Corn Belt Shrine Club. His other Masonic memberships included: Mattoon Lodge No. 260, A. F. & A. M.; A.A.S.R. Valley of Danville; Mattoon Chapter No. 85, Royal Arch Masons; Mattoon Council No. 10, Royal and Select Masters; Godfroy de Bouillion Commandery No. 44, Knights Templar; Pleiades Shrine No. 57, White Shrine of Jerusalem; Mattoon High Twelve Club; and Elect Lady Chapter No. 40, Order of the Eastern Star. At the time of his death he served as chairman of the Mattoon Board of Police and Fire Commissioners. Click a thumbnail below to start a slide show.